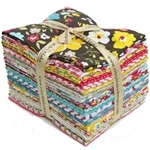 Teddy Bear's Picnic Fat Quarter Bundle includes 18 fat quarters, 100% Cotton. Blue Colorway Fabric will be custom cut for your order, also available as 1/2 yard cuts. Tan and Brown Colorway Fabric will be custom cut for your order, also available as 1/2 yard cuts. 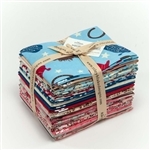 Fat Quarter Bundle - Swiss Dots. 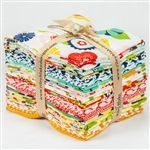 Bundle includes 6 fat quarters as pictured. 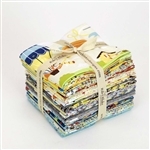 Sweet Home Fat Quarter Bundle includes 18 fat quarters, 100% Cotton. 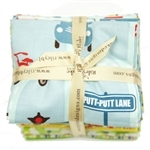 Swiss Dot 3 1/2" Rolie Polie includes 19 - 3.5" strips the width of the fabric (43/44"), 8 white with color dot, and 11 colored with white dots. 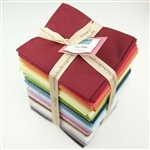 Riley Blake Designs Solids Fat Quarter Bundle includes 45 fat quarters.